A new healthy hair tip has just been revealed – and it’s brilliant. We might already know about the benefits of Moroccan oil and coconut butter, turning our frizzy bed hair into sleek shiny curls, but there’s one new hair product that you won’t find in Superdrug: red wine. Red wine can supposedly make your hair healthier, enriching and restoring dry follicles – and for obvious reasons we’re absolutely thrilled. 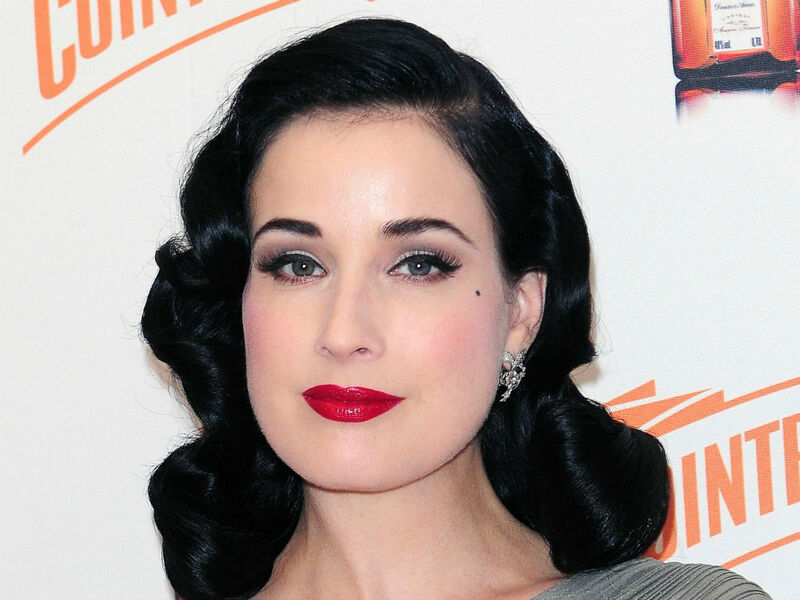 It was celebrity hair stylist John Blaine who brought the benefits of red wine to our attention last week – and the man responsible for Dita Von Teese’s luscious locks surely knows what he’s talking about. But before you pop open a bottle and start drinking, there’s an unfortunate catch. Sadly the beneficial properties of red wine on hair can’t be reaped from drinking loads of it. That will just leave you with purple lips and a hangover. The wine must in fact be applied directly onto the hair for the desired result. Now for the second catch: it’s not as simple as pouring a bottle of Cabernet Sauvignon over your head. 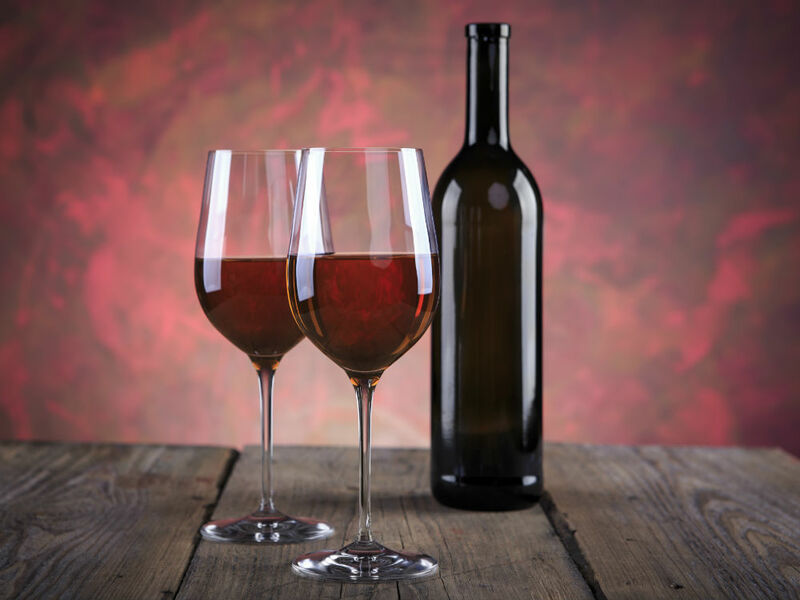 The hair-related benefits come from a wine extract – made exclusively from red grapes that have been developed to produce highly powerful polyphenols. What do these ‘polyphenols’ do? Well, work wonders on your hair apparently, neutralising the oxidation of your follicles and protecting them from hair-growth disruption. ‘Beautiful hair doesn’t just happen, it’s made’, says John Blaine, who is so confident about his discovery he’s launched a hair care line made from the wine extract. 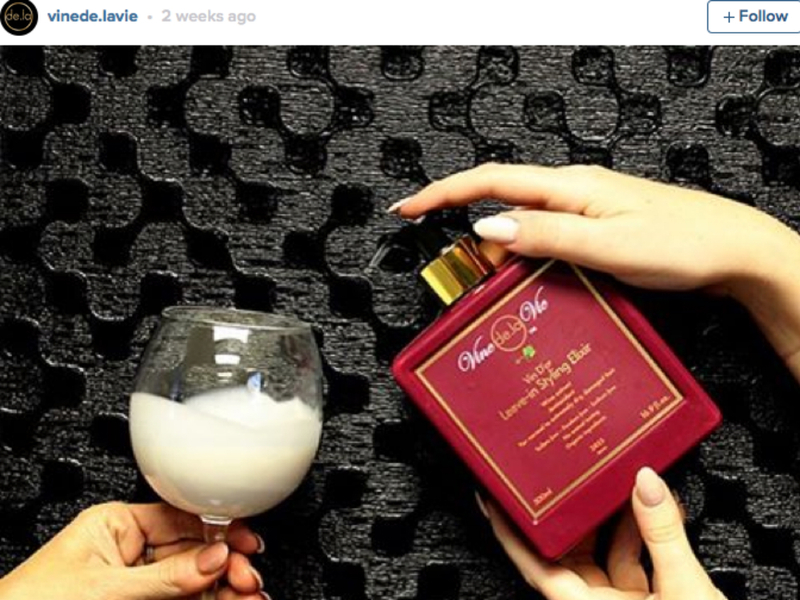 His new range Vine de la Vie, which is packaged in chic burgundy bottles, consists of shampoo, conditioner, styling elixir and serum, every drop of which is infused with red wine. A new hair secret unearthed is always a win but we’re still holding out for the news that actually drinking wine has beneficial properties.